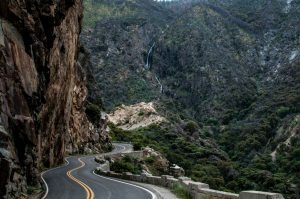 If you’re preparing for a big road trip, then you might be finding yourself overwhelmed with everything piling up on your to-do list. In our last post, we provided you with three important things to check before hitting the road. 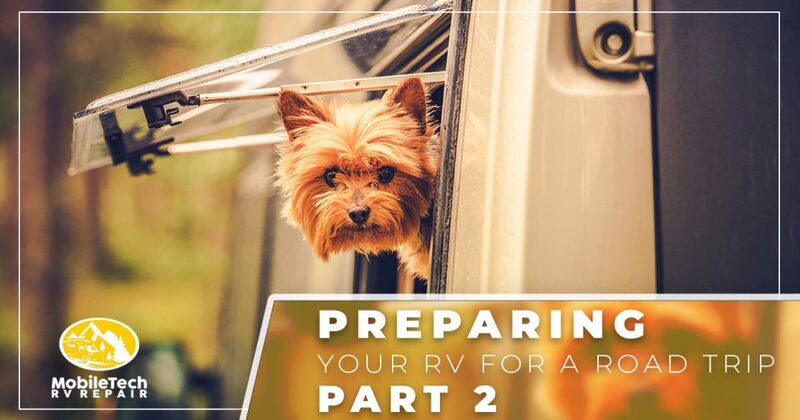 In today’s post, we’ll provide you with even more information about how to prepare your RV for a road trip. Whether you’re hitting the road for a 60-mile trip or a 600-mile expedition, you need to ensure that you and your passengers get to the destination safely. Get in touch with MobileTech RV Repair today to schedule a service appointment before you take off, and read on to learn more about how to prepare your RV for your next big trip! If you’re just taking your RV out of storage, or if it’s been sitting on your property for several months, one of the first things you should be doing is washing your vehicle and inspecting it for damage. Check the sealant on your windows, and be sure to inspect the condition of the roof. As we mentioned in one of our previous posts, water is an RV’s number one enemy, so you’ll want to make an RV maintenance appointment if you discover any weak spots or holes in the exterior. It’s easy to forget about your water tank, but you should always make sure that your water system has been cleaned and fully sanitized before you hit the road. You’ll want to run a cycle of bleach through your water system before thoroughly rinsing it out and refilling the tank. Even if you sanitized your tank last season, you can never be sure that contaminants didn’t make their way into the tank while your RV was in storage. Many people are understandably uncomfortable with this process, so make an appointment for RV maintenance if you would assistance with this important task. Think of RV preparation as the perfect opportunity to do some spring cleaning, no matter what month of the year it may be. Throw out the old soup cans and boxes of crackers that have been sitting in the pantry since last year and buy new ones, and while you’re at it, replace the toiletries as well. Wipe the dust and crumbs from the empty space, and then go out buy only what you know you’ll use this season. You’ll find yourself relieved to have extra space and only the essentials in your cupboards! We hope that this series will help you prepare for your next big trip. Even if you’ve checked off everything on your to-do list, you should still bring your RV in for an RV maintenance appointment before you take off. You can never be sure if you’ve missed a small detail, and our RV technicians know exactly what to look for in order to keep you safe on the road. We can do anything from RV tune-ups to full RV maintenance appointments that allow you to focus on the other details of your trip — get in touch with us today to schedule an appointment!